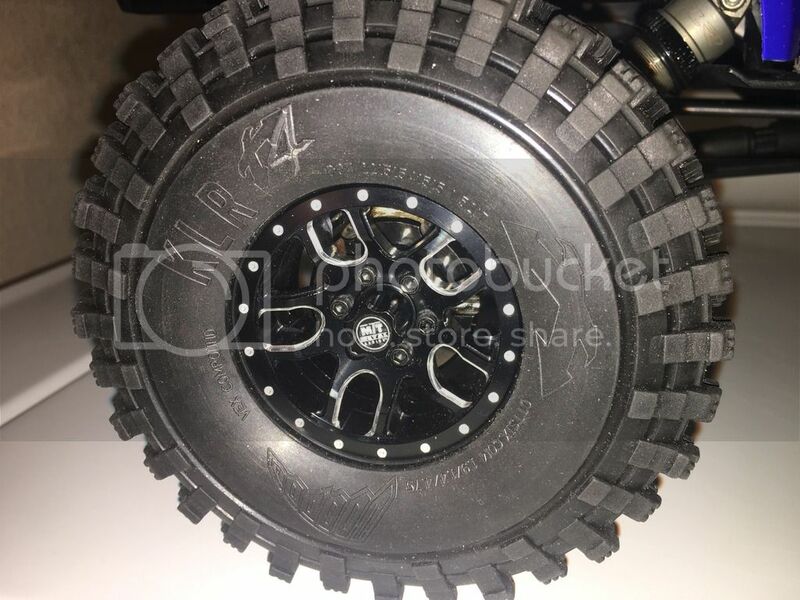 Will these wheels bolt directly to the Trx 4 or will I need different hexes? They will bolt on no problem! Hex wise you wont have an issue. I would just be cautious of the inside ring bolts. it looks like they are flush with the rear of wheel? If so your portals will most likely hit unless its offset enough to keep the portal out of the wheel. I am not positive as I dont have these. Just something to look for as I tried a bunch of wheels until I found one I liked. But that was a common issue, so just be aware. I see what your saying.. Im using the ssd portal cover weights as well.. They might not work. I ordered them anyway to try so I guess we will see Wednesday.. But I cant tell if the ssd portal cover weights are mounted in that pic..
I’ve ran a couple different sets of ssd wheels on a trx4 with the brass portal covers. You’ll be fine there. Regarding the hexes you don’t “need” them but those wheels will fit better and tighter at the hex if you have them. 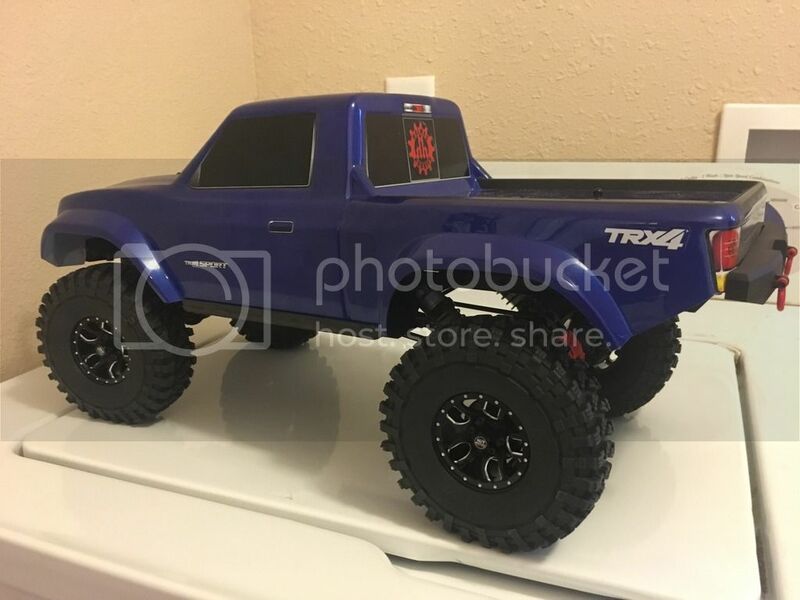 The TRX4 stock hex is completely flat and m the outside. These wheels you’ll notice have a little raised ring part at the very center on top of the hex. With the SSD hexes there is a step, for lack of a better term, on the hex that fits into the indentation on the wheel hub and offers a tighter fit. If you haven’t already ordered some I’d also recommend getting some of the ssd scale locking hubs (and the corresponding tool) as they’ll finish off the look of the wheel proper. Last edited by Pant Danza; 02-11-2019 at 09:43 AM. These wheels do fit the stock portals on the trx4. But the ssd brass portal covers require a couple mm dremeled down. Wasnt an issue really.. I don't understand how you guys can say that SSD wheels on the TRX4 are a direct fit and that the SSD hexes aren't needed. This is my second set of SSD wheels that I've attempted to mount my Canyon Trail tires on. With the first set, I struggled to get the two wheel halves together. Then I found out from SSD, that these were a set of their "older wheels" and the hole in the hub was to small to fit the 5mm TRX4 axle! I didn't want to get new hubs or drill the hole out so I figured I'd sell them at some point. I then bought another set of SSD wheels and after getting the Canyon Trails mounted, the tires just didn't look right. Frustrated, I just said whatever and attempted to mount them on the chassis. Well, they don't fit on the stock hexes properly. The hole in the wheel is huge and the wheel wobbles around on the hex! It is very obvious to me that you do in fact need the SSD 12mm hexes on the TRX4 for a proper and solid fit. This problem on top of the fact that these wheels simply do not work well with the Canyon Trails, has left me very unhappy with my two SSD experiences. By contrast, I have a set of the cheapest Pro-Line plastic beadlock wheels you can buy. They go together effortlessly, fit the tires perfectly, and match the axle and hex without any problems! Which type of SSD wheels did you get? It was only the Steel D Hole wheels that required the hubs iirc. I don't have any problems running SSDs on both my rigs, but I bought the hex adapters just for general wheel compatibility. The Rock Racers are a bit wider and the tire now rubs the portal cover. Hopefully, the larger SSD hexes will also provide some offset. Even then, I'll have to figure out why the tires are just not fitting the wheels right.